Apple is seeking to sue Kodak over an alleged patent infringement relating to Kodak's printers, picture frames and cameras. It's safe to say that 2012 hasn't been a good year for Kodak. After filing for bankruptcy protection in January, last week the company announced it would no longer be making cameras in a bid to restructure and save it from going under. Over the past few years and months, Kodak has relied on selling off its extensive patent catalogue and launching law suits against a variety of companies for infringements on those patents. However this time, Kodak is on the receiving end of a patent infringement lawsuit - and from the mighty Apple. Currently waiting for approval from a New York Court, Apple alleges that Kodak has infringed on technologies used in printers, digital cameras and digital picture frames. Kodak and Apple are old enemies, having fought over patents previously. 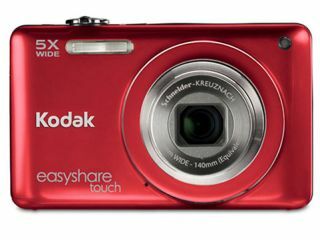 A ruling in June 2011 went against Kodak, with Apple claiming that it shared camera patents with the company. If the US Bankruptcy court approves Apple's request to sue Kodak, the next stop is the International Trade Commission and the US District Court in New York. From there, if Apple was to win its case, it could see core products from Kodak withdrawn from sale, which won't be good news after recent troubles. Last week's announcement suggested that the company would be able to save $100million if it stopped producing cameras, with it even hinting that recently announced cameras at CES back in January will never come into being.